Situated in the rural countryside village of Mottram St Andrew, Cheshire, Sevendials is a private contemporary residence project. 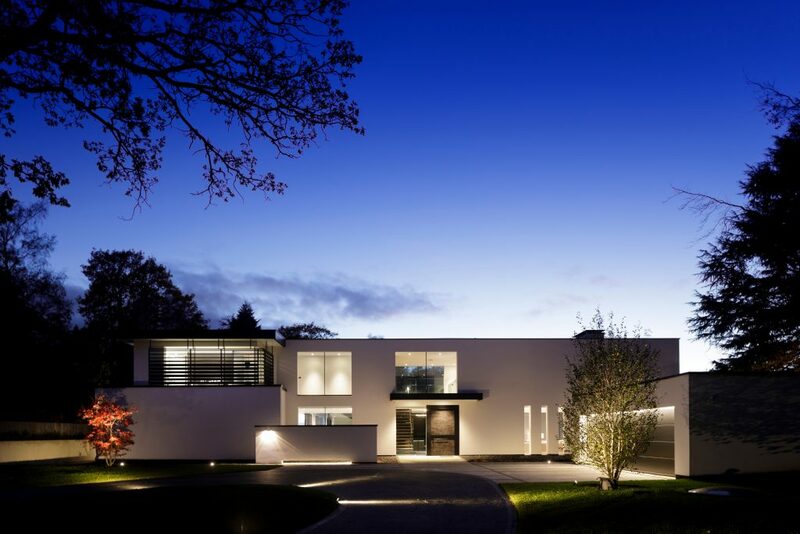 It utilises an array of innovative products from leading aluminium suppliers Reynaers and Cheshire-based Altitude Aluminium, which installed the stunning aluminium windows and doors on this beautiful build. The contemporary living space is set across more than 600m2 including a full leisure suite with guest accommodation. Situated at the head of a gently sloping valley and immersed in mature greenery including Oak and Birch trees, the modern house boasts views across Cheshire towards Snowdonia and North Wales. TheCAVE architecture + design studio was selected to design the project due to its vast luxury private residual property portfolio. TheCAVE was invited to stay in the bungalow that was previously on the site for three months before the project commenced to gain a profound knowledge of the path of sunlight, views and landscape before plans were finalised. The Sevendials dwelling beautifully projects the impact of Reynaers’ Hi-Finity sliding door system. Each panel of glazing spans the full height of the building across two floors, creating an impactful facade. Despite their minimal visual sightlines, the Hi-Finity sliding doors durability and strength allows for up to 750kg of weight per sliding door leaf. Fixed panes can weigh up to 1200kg. To further advance the functionality of the property, Reynaers’ CS 77 Tilt and Turn systems were installed alongside the Hi-Finity range. Depending on the position of the handle, the CS 77 Tilt and Turn windows open either from the bottom hinge allowing an opening for ventilation or from the side hinge, opening in full. Whilst the façade at the front of the building uses minimal glass to enhance privacy and security, the rear of the building is where Reynaers’ products come to life. The ‘L’ shape plan embraces the views to the West, allowing the large panes of glass to engulf the sunset as it descends. The orientation of the project also ensures natural light bathes all interior scopes throughout the full 12 months of the year.